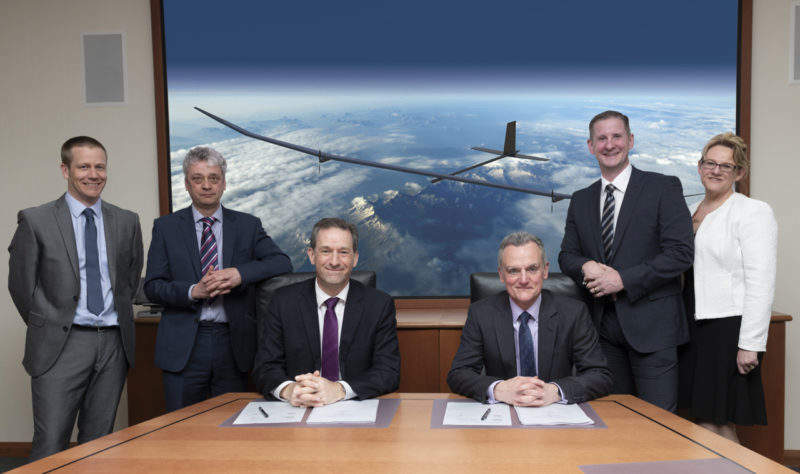 British aerospace companies BAE Systems and Prismatic are to develop a solar-powered High Altitude, Long Endurance (HALE) unmanned aerial vehicle (UAV) that will be able to operate for a year at high altitudes. The UAV, named PHASA-35 (Persistent High Altitude Solar Aircraft), will be equipped with lithium-ion batteries and ultra-lightweight gallium arsenide solar cells to enable it to remain at altitudes between 55,000 and 70,000ft for up to 12 months. The concept vehicle has a 35m wingspan and weighs just 150kg. BAE Systems also reported that the UAV is ‘significantly’ cheaper to produce than other satellites. “The purpose of doing it is to enable the aircraft to stay in the air for months or years at a time, providing services such as communications and remote sensing,” said Prismatic managing director Paul Brooks. There are currently a reported 1,459 human-made satellites in space, a number that is predicted to increase as technology improves. Estimates for the cost of launching a geostationary communications satellite are around $325m, so finding a cheaper alternative is of interest to BAE Systems. BAE Systems strategy director Michael Christie said: “We became involved in the programme because we were actually looking at space, not so much as high altitude. We aim to continue to develop the technologies, to aim to productionise this and find a way to go to market jointly. A PHASE-8 model, one-quarter the size of PHASA-35, successfully completed a test flight in 2017, and Christie is eager to continue working with Prismatic to continue development. “Prismatic is a fast-paced and forward-thinking company and PHASA-35 is a great example of what the team can achieve in a short space of time,” he said. “We were keen to invest in the programme as part of our long term strategy to explore new technologies and solutions in air and space.